* Offer good in the U.S. Void in Puerto Rico. Claim form required. Certain restrictions and limitations apply. 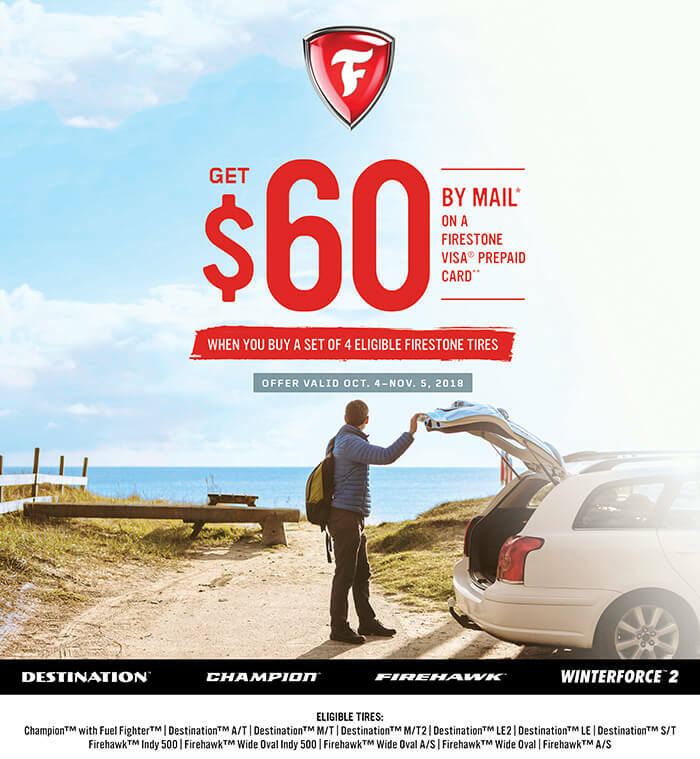 For eligible tires and complete details, see your participating Firestone retailer or FirestoneTire.com. Eligible tires must be purchased from a participating Firestone retailer’s inventory October 4-November 5, 2018. OFFER EXCLUDES GM PURCHASES. Limit 1 reward per each set of 4 eligible tires. Limit 2 claims per household, customer or address. Not redeemable for cash. Cannot be combined with any other offer. these trademarks and brand names do not represent endorsement by or association with this card program. All rights reserved. 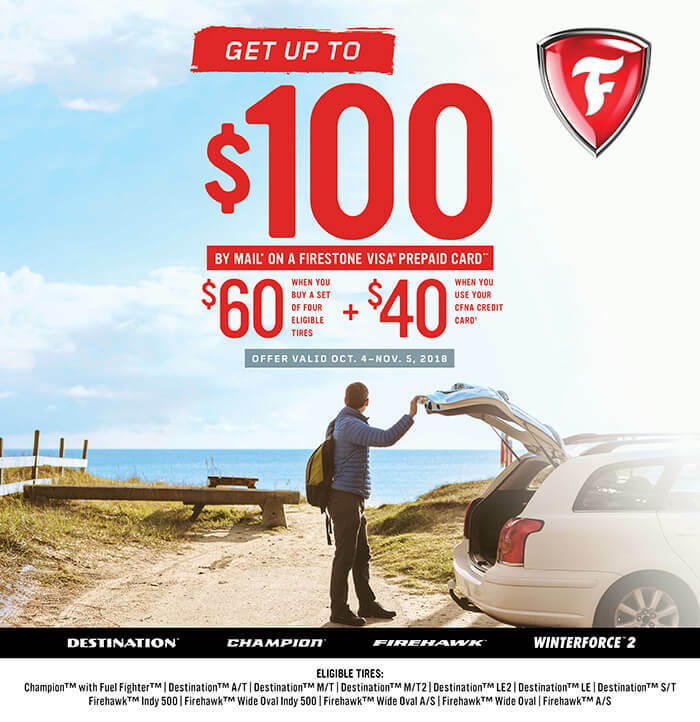 † To receive the $100 Firestone Visa Prepaid Card by mail you must purchase a set of 4 eligible Firestone tires with your new or existing CFNA credit card. CFNA accounts subject to credit approval. The Firestone Visa Prepaid Card cannot be used to pay any CFNA credit card balance. The Bancorp Bank is not affiliated in any way with this credit card offer and does not endorse or sponsor this credit card offer. Participating retailers only. for cash. Cannot be combined with any other offer. card program. All rights reserved.